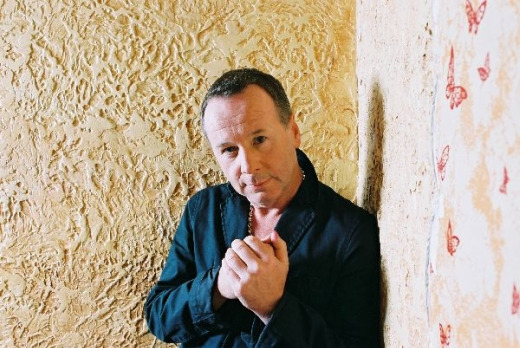 With Simple Minds still active after 30 years, frontman Jim Kerr will release his first-ever solo album this May under the name Lostboy! AKA, and is set to debut his new material — and dig into Simple Minds’ back catalog — with a trio of intimate U.K. club dates this spring before embarking on a full tour. Due out May 17 in the U.K. and preceded by the single “Shadowlands,” Lostboy! AKA finds Kerr working without his Simple Minds partner Charlie Burchill for the first time. Instead, the singer enlisted the help of co-writer and producer Jez Coad, who previously worked with the band, producing Simple Minds’ Black & White 050505 in 2005. As for Simple Minds, who released Graffiti Soul last year, the band has started rolling out preliminary 2010 tour dates, including March gigs in Australia and New Zealand, and festival dates in Denmark and Norway in June and July. What’s up with Simple Minds decision to not tour North America? Has Jim ever explained why they continually pass up America on tour? A very ordinary song, not quite the leap forward or the leftfield for a solo project. Perhaps this song is above the intellect of americans and can only be appreciateted by the south glasgow,mmmmmmmmmmmmmmmmmmmmmmmmmm? It’s cause promotors do not invite Simple Minds to play. Simple as that. yeah i see where Jim is coming from here i get flashes of Minds in their underground era BUT if Jim truly wants to capture that time then he needs to get together with the guys who made that happpen ie MacNeil, Forbes, Burchill am i right or am i right? What a great album, he is a really talented guy, call it play it safe, but really I think he hits the nail on the head every time. If you like a certain sound of thoughtful rock.